"Dodgson himself wrote that he imagined his work as musical theater -- an "operetta"." Johnny Depp and Mia Wasikowska are scheduled to reprise their roles as the Mad Hatter and Alice, respectively, in Disney's Alice in Wonderland 2 on May 27th, 2016. Unfortunately, the sequel to the original blockbuster (the sixth movie to earn more than $1 billion worldwide) will, in the words of the White Rabbit, be "late". 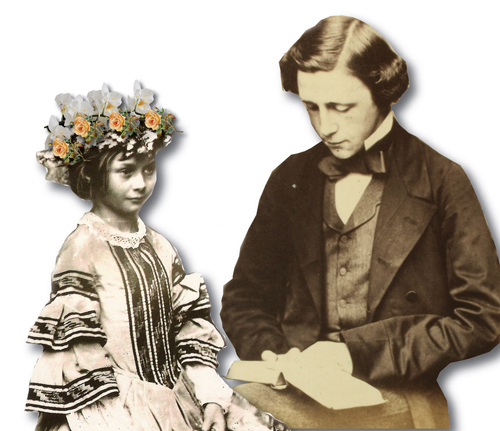 It will be late to join in the global, national and local events being orchestrated by the Lewis Carroll Society of North America (LCSNA) in the fall of 2015 to celebrate the 150th anniversary of the publication of Carroll's beloved Alice's Adventures in Wonderland. The new opera fantasy in two acts, Alice - Adventures in Wonderland, by Gary Bachlund (composer, co-librettist) and Marilyn Barnett (co-librettist), hopefully won't be "late". Bachlund is known and respected on the stages of the most prestigious opera houses in the world. Since his Carnegie Hall debut as a singer in 1986, he has appeared at the Metropolitan Opera, the Los Angeles Opera, Washington Opera, Opera de Paris/Bastille, Teatro Real (Madrid), Frankfurt Oper, Welsh National Opera, Scottish National Opera and L'Opera de Montreal, to name but a few. He is also a prolific composer and has written over 1,200 art songs and lieder to texts in many languages, as well as other choral and chamber works. Alice is his first full-length opera. Sitting somewhere between opera, operetta, and musical theater, the melodic and lyrical elements are emphasized, with memorable and singer-friendly arias, ensembles, and orchestration. 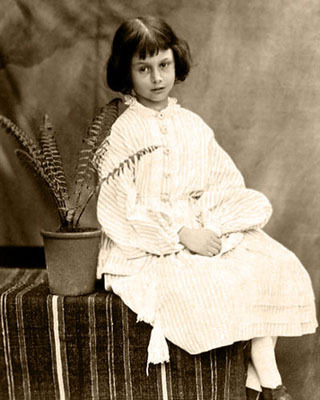 "The work is of a melodic sweetness that Reverend Dodgson or for that matter, the young Alice would have thoroughly enjoyed," comments Mark Burstein, President of the Lewis Carroll Society of North America. 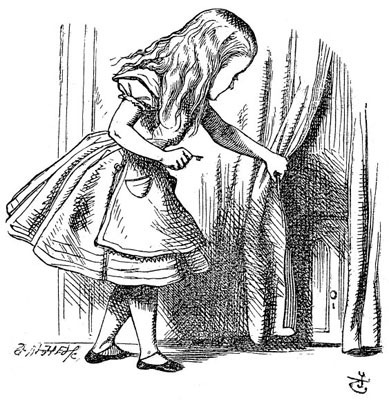 The piece, which includes both Alice's Adventures in Wonderland and Through the Looking-Glass, is written to be performed together or separately staged with costumes and sets, semi-staged with projection, or performed in concert. I had the good fortune to get a sneak peak of the new opera, Alice (http://www.youtube.com/watch?v=IEpx8ntjGUA&feature=youtu.be) and chat with its talented composer, Dr. Gary Bachlund. Gary, tell me how you became a composer? Prior to traveling around the world as a singer, I dabbled with composing a few things. With my travels, I made souvenirs for myself, picking up an interest in a poet or poem and translating them into song, or sometimes composing an instrumental work. In parallel with a career as singer, I returned to UCLA and took graduate and post-graduate course in composition and theory, earning a PhD, rather unusual for an opera singer, much less a tenor! At the end of my career as singer, I'd amassed a portfolio of work and thought to share it freely with others. This ranges now from over a thousand art songs in a number of languages, organ and piano works, chamber music and more. Retired now, I find this time in life most luxurious in terms of having time to invent and then invent some more. My earliest positive influences were teachers Dorothy Fries and Florence Jolley, composer and orchestrator Eugene Zador, as well as the many composers whose works I'd sung since a child. Some early negative influences steered me away from the modern avant garde of which there is enough and more than enough. The earliest influences as regards music come from choral work as well as organ works I heard when young. Tell me about your Alice opera - what inspired you to write the opera? And why Alice? I have repeatedly re-read a number of so-called children's books as an adult. There is much in the fancy-filled literature for adults, and Carroll's work is atop that list. Dodgson himself wrote that he imagined his work as musical theater -- an "operetta". A number of versions take some portion of the text, or truncate too much or, in my opinion, lose focus on the whole. Dodgson saw a complete "operetta." I hope we have complied, for in fact most of the libretto is Carroll, plain and simple. It is of course edited for time, but with the utmost respect for his art. "Some of Carroll's text, for Carroll plays his own part in the opera, are taken from his letters, and of course as much of the poetry as possible had to be set to music, didn't it?" How would you describe the musical influences in Alice? What kind of audience do you think will appreciate it most and why? The British tradition from Purcell forward into today was familiar to me, and the notion to employ as many styles and forms from this musical history appealed. Additionally there is in our Alice much melody and good humor, in both the Wonderland and Looking-Glass portions of the work. 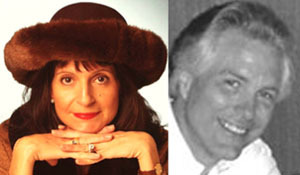 As a singer throughout my life, I write for voices, being in love with the magical things they can do and portray. The parts are gracious for singers with that in mind. I think audiences will appreciate the tunefulness of the score. How difficult is it for conservatories or opera houses to produce this opera? What's involved from sheet to stage? We are in an age of economic austerity, as in Europe many theaters' subsidies from government are under pressure while in the States, the costs of producing new works can be daunting. Additionally, courtesy of the trend towards the avant garde and experimentation in music theater, many works have been unsuccessfully produced, not found a consistent audience and such productions, scrapped after a premiere run, have sapped financial underwriting for more and newer. It was our thought to make a work that would not be too expensive in terms of staging. What is involved from the notes to a performance is much, from casts and orchestra costs to set design and construction, and details of which many are unaware. I hoped to compose a work popular enough for repeat performances and audiences wishing to return again to it over time. This is of course the case with the central repertoire of the opera world today. This is why I have revised it for a small chamber orchestra: 2 oboes, 2 horns, a single percussionist, harp, piano and strings, with some exposed writing for the solo violin. One might perform the work with such a small ensemble or use multiples for the strings in a more lavish production setting. I also could imagine costumed singers with backdrops being nothing more than projections from perhaps the Tenniel illustrations, or others as one might choose. The text and characters remain the central focus, from my perspective. What are some of your favorite arias in the work? I dare not say. The work is filled with melody and good fun. A skirt role for the Queen of Hearts, sung by a baritone or bass baritone. Tweedledee and Tweedledum as dueling tenors with a duet for them, verses rising by half step across the span of an octave. Alice's Jabberwocky, its gestures and textures in part recalling the accompaniment to silent movies, as one of my friends of many years was among the last of that breed of artist. Some of Carroll's text, for Carroll plays his own part in the opera, are taken from his letters, and of course as much of the poetry as possible had to be set to music, didn't it? Gary, why are creators still fascinated with Carroll's Alice story almost 150 years after it was first published? There is something therein for adults as for children, with fantastic, fanciful characters, clever rhyme and parodies, layered commentary on life and society, all bound up with a child's huge enthusiasm for life. This alone explains the many illustrators who have shown us what Carroll put into words. This explains the scholarship as digging into its creative mysteries is an as yet unending subject for inquiry and speculation, and societies dedicated to advancing the work into future generations. Illustrations moved from static pictures to motion pictures and animation, even to parodies, spoofs and rip-offs. There is no single answer, for there are many answers and the answer remains "why is a raven like a writing desk?" 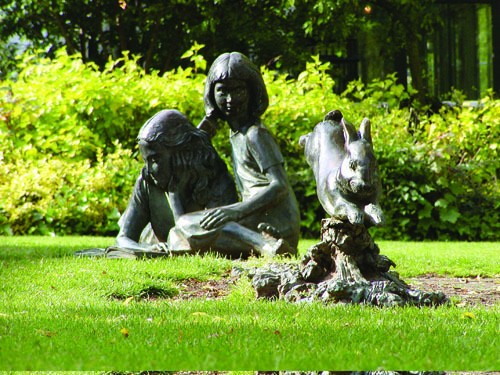 All Photos are courtesy of The Real Alice in Wonderland book and Gary Bachlund.